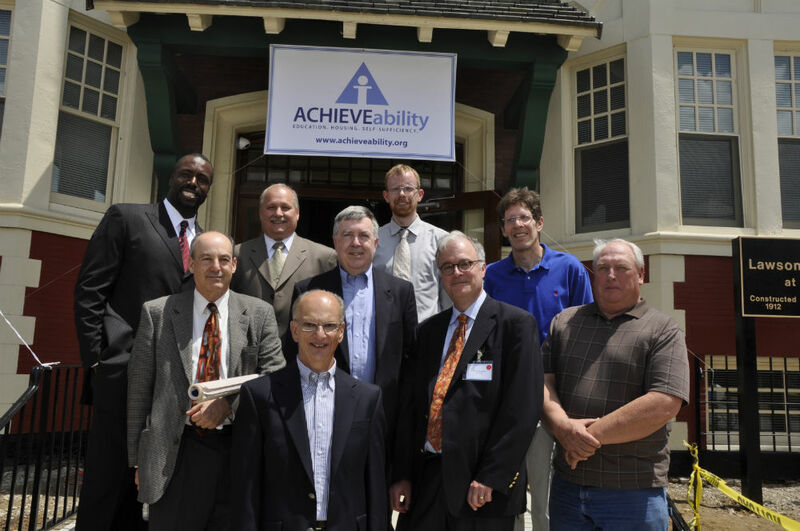 BWA Principal Richard Winston (2nd from left) and Project Architect Eric Heidel (4th from right), with ACHIEVEability stakeholders at the ribbon-cutting. Photo Credit: ACHIEVEability. Read more about the event and this great organization here.